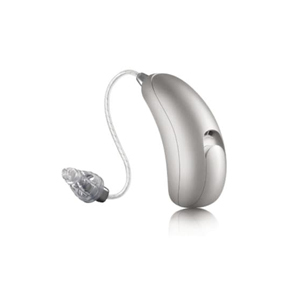 The Unitron Moxi All 500 hearing aid is the entry-level hearing technology of the range that runs with the best in conversation platform from Unitron called Tempus. The hearing aid is capable of Bluetooth connectivity to all types of mobile devices including iPhone and Android smartphones. The hearing aid wearers can enjoy direct music streaming and hands-free phone calling without the use of any accessory.